I read somewhere there are more cafés in Chiang Mai than 7-Elevens. Which says a lot if you’ve ever been to Thailand. I’m not surprised. Of all the coffee places in the world, this Southeast Asian city happens to brew damn good coffee. 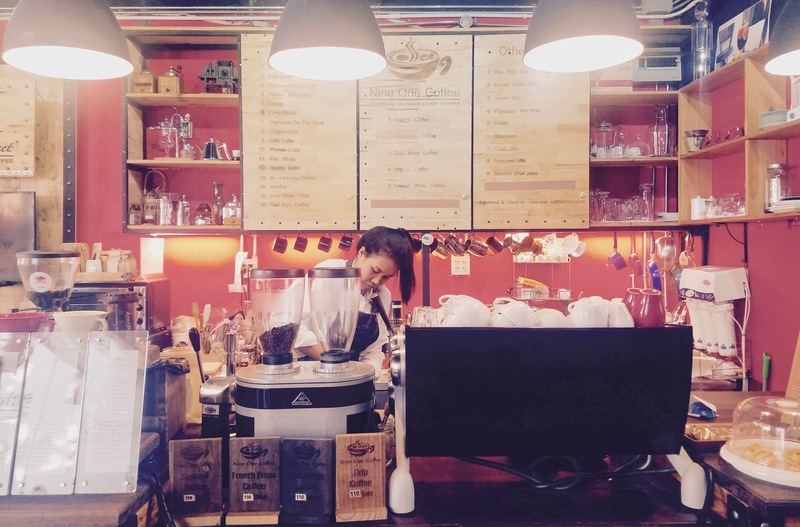 Chiang Mai has become the coffee capital of Thailand. 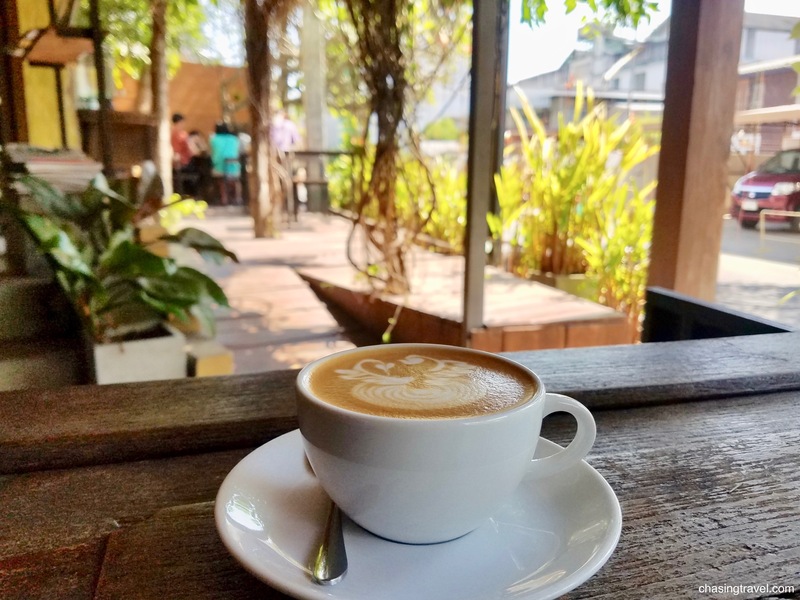 From traditional Thai, to nitro brew and locally roasted single-origin, Chiang Mai is like no other coffee city I’ve been to. Specialty and third wave cafés are popping up faster than 7-Elevens. It’s creating a new coffee culture that never existed in Thailand, where producing and serving coffee is an intricate craft. 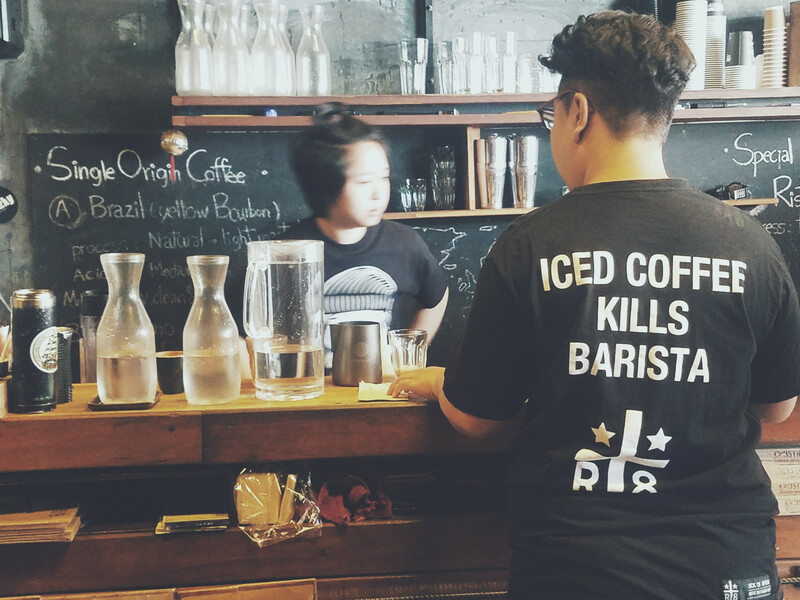 From the farmers to real baristas (and I don’t mean the Starbucks kind). Coffee here is a serious thing. For one month while living in Chiang Mai I made a point to try one new café or style of coffee each day. I’ve finally shortlisted my favourite ones. Where I went or what I tried was not arbitrary though. I based my visits on cafés with a unique concept, interesting story, or social impact. 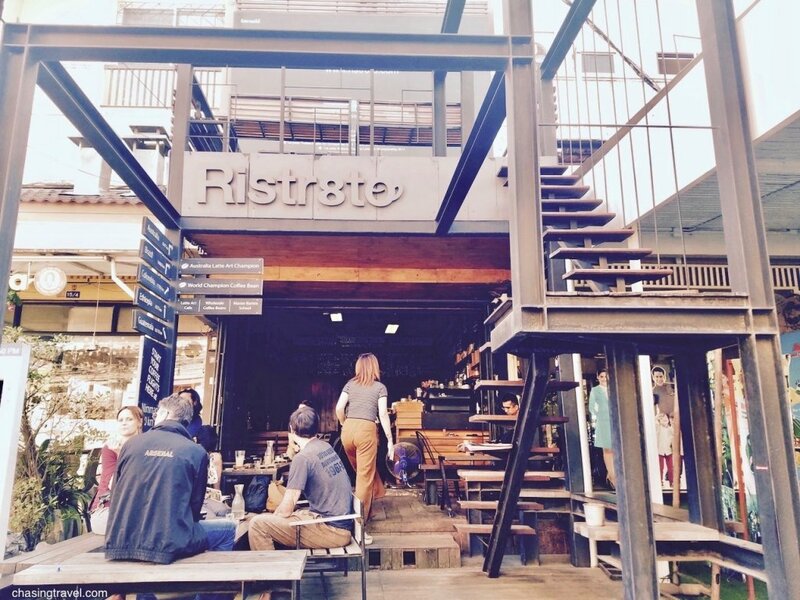 And in my search of the perfect cup, the most interesting thing I discovered about coffee culture in Chiang Mai is that people are drinking coffee here because of the coffee, not because of the brand. 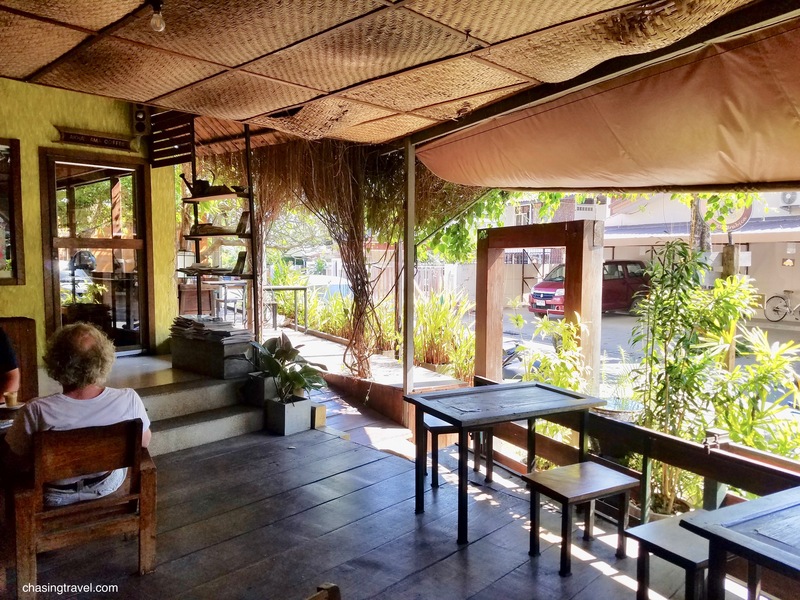 All the cafés in this list brew or roast their own local Arabica Thai beans, the owners value their connections to local farmers who produce them, and drinking coffee at these spots is a true sit-down experience. So download this page, grab your map, and prepare your senses. 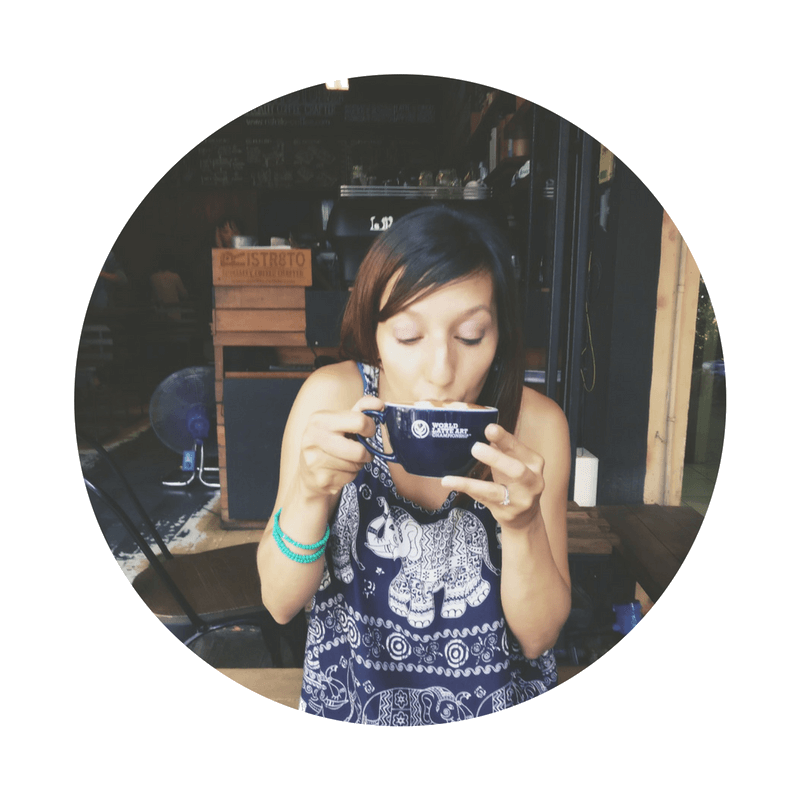 I’m about to take you on a personal coffee tour of local, authentic coffee and café culture in Chiang Mai. 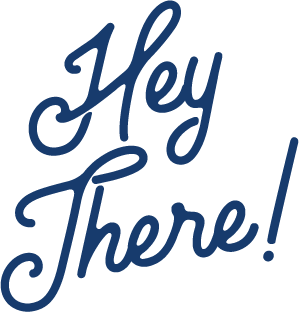 Even with all the over-commercialism, socially-empowered enterprises are still possible today. Akha Ama is one of them. The owner first opened the café in 2010 to help his hill tribe market their product at a fair price. Today, every cup empowers 20 families in the Maejantai village whose main source of income is farming. Each bean is hand-picked in the mountains of Chiang Rai, just 150km from the café; manually separated from its fruit then roasted. For less than 100 baht (or $3) you get a well-crafted, single-origin coffee in it’s purest form while supporting a social and economic well-being of an entire village. It’s positive cooperatives like this one that remind me why I don’t do Starbucks. What to Try: Their specialty bean is ponlamai which means fruity. Where: Multiple locations but I love the one at Soi 3 Hussadhisewee, with a serene terrace and nature-like setting. This is the kind of café you come to start your day and chat with others. The simple menu is American-style eggs and toast for 60 baht or a set menu for 100 baht. But the draw is the coffee and the sweet lady Noi, the owner. She speaks little English but will still pull up a chair next to you to share her love for coffee. Her family owns a small organic coffee farm just outside of Chiang Mai where she returns to on weekends to bring back fresh Arabica beans for her customers. It’s farm-to-cup coffee right from the producer for only 40 baht (about $2). What to Try: Any espresso-based coffee, hot or cold. I don’t think there is more love poured into a cup of coffee than the kind at Nine One. The owner fell into coffee by accident. After acquiring a piece of rural land he began teaching himself how to farm, grow, and roast beans. He is a self-taught coffee grower so every batch crafted is a testament to his hard work. Even more inspiring is that he believes in growing organically because it’s the only way we can save our planet from global warming. If you bring your own cup they’ll give you 10 baht off. When I last visited the café they offered two local Thai blends from Doi Saket. The Thai iced coffee has an interesting twist with a frozen coffee cube. Ristr8to is all about the coffee. And latte art. While they don’t own a farm or produce their own beans like other cafés, they’re focused on roasting and brewing single-origin beans from around the world. 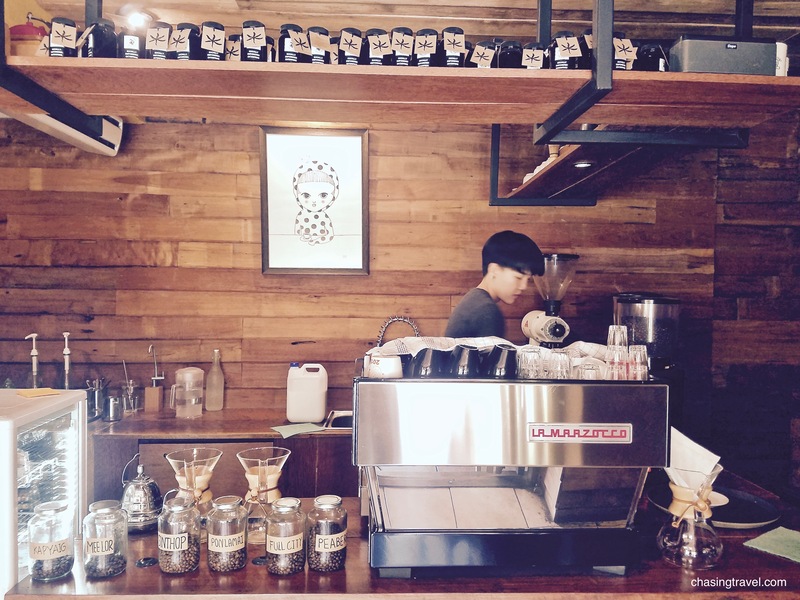 The owner Arnon is Thai, trained in Australia, and travelled the globe to master the perfect cup of coffee. He is also a World Latte Art Champion. Every cup from Arnon and his baristas are served up with a meticulous drawing of some complex animal. Rabbit, horse, fox, unicorn. So take a peek at the chalkboard and pick your flavour. But no matter how sweating hot it is outside, don’t order an iced coffee. 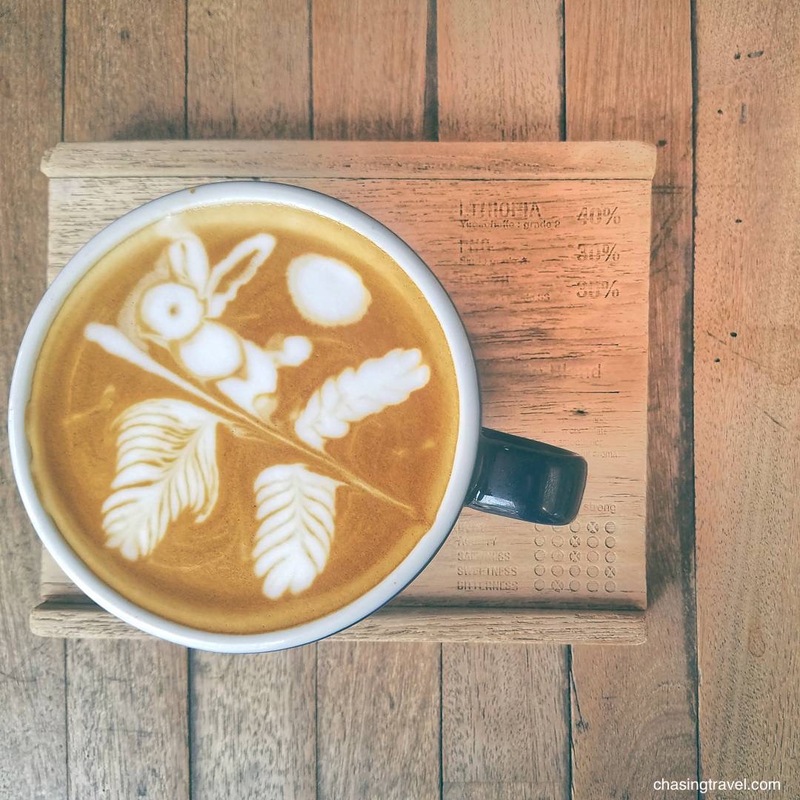 You’ll just get frowned on since the baristas live for creating awesome latte art. After all, that’s what you come here to see. Our apartment was stumbling distance from both the café and their coffee lab, where they slow roast their beans in the back room. We tried almost the entire menu. The Godmother Mocha is like no other – deep, rich, velvety dark chocolate; the kind that lingers in your mouth well after its gone. If chocolate were alcohol this would be it. Depending on what you order, coffee comes in a mug or clear glass because the baristas believe how you drink your coffee can drastically change the flavour and taste of it. I don’t think they like take-away coffee. You can still get their incredible latte art, but it comes in a paper cup. Who wants to drink good coffee in a paper cup, anyway? What to Try: The Satan Latte prepared with their own blend of 40% Thai, 30% Mexican and 30% Colombian beans. The Godmother Mocha is next level. Flat white if you prefer something more balanced. 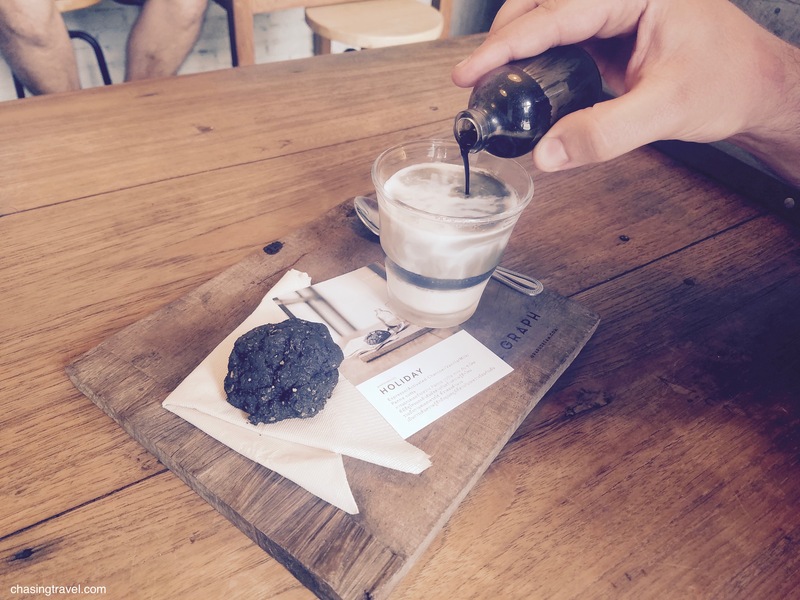 Graph Café is like a science experiment for coffee aficionados. Long before the likes of Starbucks, Graph was one of the first to begin crafting cold brew coffee infused with nitrogen gas, then pulled from a tap for a frothy, Guinness-like head. I’m a classic cappuccino girl, but Graph is the type of place that will get you out of your comfort zone. Try the dessert-like Holiday with panna cotta, vanilla, milk and activated charcoal, which is made from burning coconut shells. The Overland is refreshing with nitro brew espresso, orange and ginger ale. Graph imports their coffee from Pa Miang seasonally, so the beans change every four months. What to Try: Overland cold brew or Holiday. 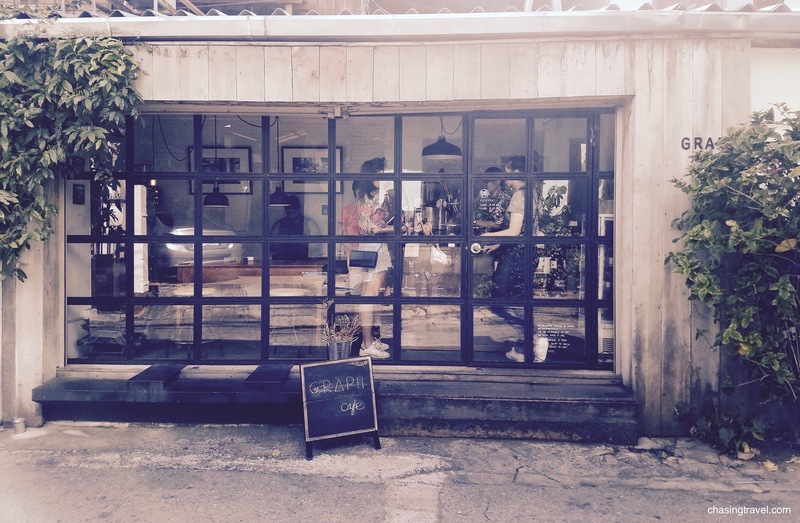 Where: Multiple locations but I like their original café because its smaller and intimate. Soi 1, Rajvithi. Where in the World have you had a unique coffee experience? From now on every day is a Coffee day for me! It’s a place that I myself disliked as a backpacker, but loved as an expat! I never thought of Thailand as having good coffee. Thanks for the tip! I’m a coffee lover myself so thanks for the great guide. I’m trying to visit as many cities and cafes. Wow, I’m a coffee lover but never heard about nitrogen-infused coffee, must definitely try it next time when I travel to this country. I hadn’t heard of nitro brew either until Chiang Mai. 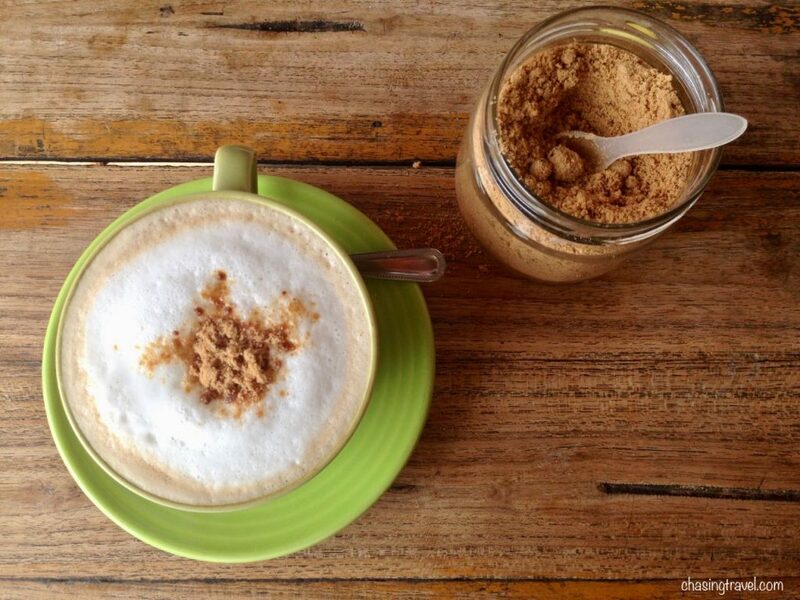 I think I will always be a latte kinda girl but I do love experimenting with new concoctions! Thanks for the Vietnam tip – never been but I hear it really is a coffee lovers place so I do hope to visit one day!